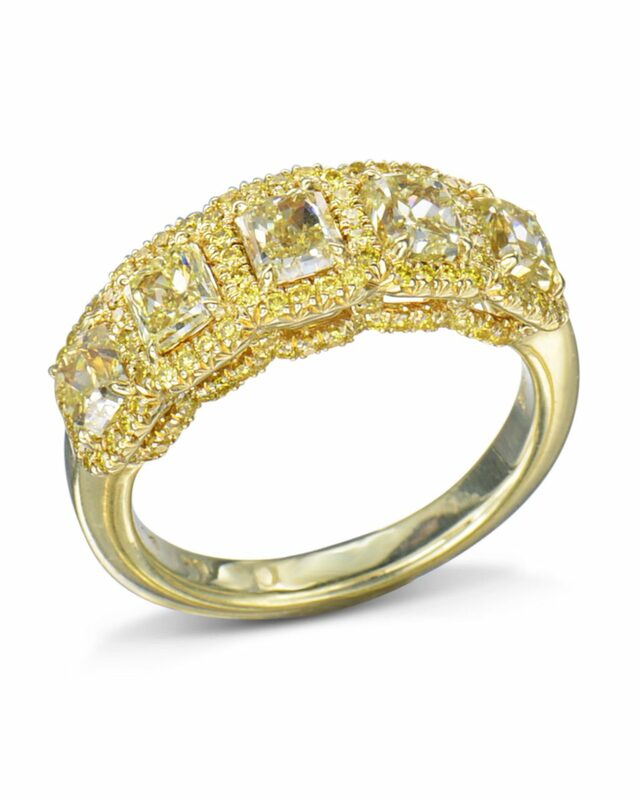 An exquisite five fancy yellow radiant diamond band made to be your ray of sunshine. 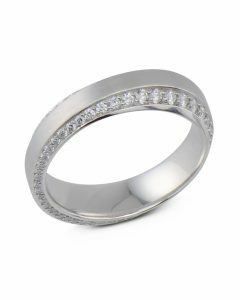 Hand-crafted in a rich 18k yellow gold, this wedding band features 2.13cts of fancy yellow radiant cut diamonds surrounded by 130 fancy yellow diamonds in the halos and band. 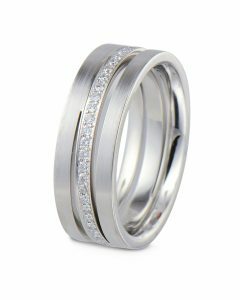 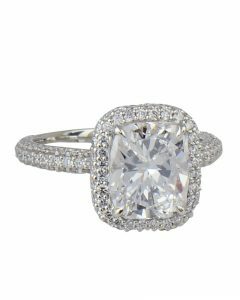 This is a sophisticated diamond band that can be worn as an engagement ring or as a right hand ring. 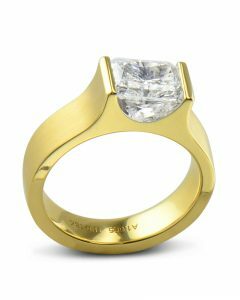 The ultimate jewel, this five fancy yellow radiant diamond band is destined to be cherished for a lifetime.